The Alberta government has two new reports in hand that touch on public dollars flowing into private energy developments. One deals with risks, the other with rewards. Let’s hope the Notley government pays equal attention to the auditor general’s latest report before it embraces a new study from the province’s Energy Diversification Advisory Committee. The government released the energy study on Monday, setting the table for Alberta to pursue value-added projects in the downstream oil and gas sector, such as expanding the petrochemical industry and investing in partial bitumen upgrading. To that aim, the government should hand out grants, offer loan guarantees and make direct investment into private-sector projects, it recommends. The reward, as the study sets out, is tempting. It talks about a doubling of downstream energy production, with as many as 100,000 jobs and capital spending of $60 billion to $100 billion by 2040. “The data shows that without government investment to support the construction of new downstream facilities, construction will not happen,” the study states. In theory, it’s an enticing call to action. In practice, governments have a mixed record when it comes to investing in initiatives to diversify the economy. That’s where a clear eye toward managing risks comes into sight. The auditor general’s report released last week underscores some of the potential pitfalls, with its examination of the Alberta Petroleum Marketing Commission. Auditor general Merwan Saher took the province to task over how the agency has managed risks surrounding the government’s involvement in the mammoth $9.4-billion Sturgeon Refinery. 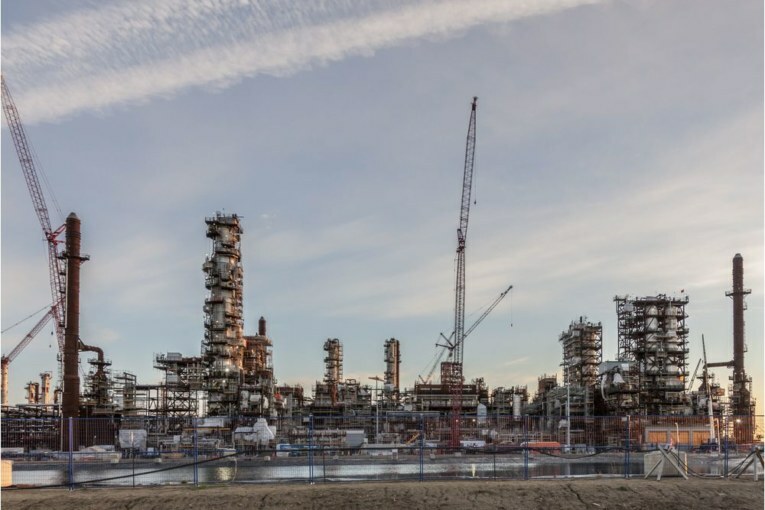 Located north-east of Edmonton, it’s the first refinery to be built in the province in more than 30 years, processing bitumen into higher-value diesel and other products. Construction is nearly complete. The refinery will be fully operational this year. The project was first approved by the former PC government in 2011 as it also chased the promise of new jobs and adding value to Alberta’s raw resources. The province agreed to supply Sturgeon with 37,500 barrels of bitumen per day, which it collects from producers in lieu of royalty payments. The project itself is a partnership between North West Refining and Canadian Natural Resources. When it initially had a $5.7-billion price tag, the province’s bitumen processing tolls were estimated to cost $19 billion over 30 years. Like many large-scale energy developments, the capital costs shot up to $8.5 billion in 2013, and increased to $9.4 billion last year. In turn, Alberta’s bitumen processing fees have risen to $26 billion over three decades. APMC also loaned $324 million as subordinate debt to the North West Redwater Partnership. Increases in capital costs lead to higher bitumen processing tolls; higher tolls makes it harder for the province to make a profit with its barrels. Back in 2011, the province estimated the net present value for Alberta in the deal was in the range of $200 million to $700 million over the project’s life. By last year, that number fell below $200 million. “Since the original agreement was signed, the risk exposure has increased without a commensurate change in benefits,” the auditor general reported. So is this ultimately a good deal for taxpayers? This critical question can’t be answered definitively and objectively at this time, the report states. “The uncertainty around diesel prices, bitumen prices, interest rates, foreign exchanges, and capital and operating costs over a direction of 30 years is considerable,” it said. There’s some tough questions to be asked about a government agency that manages a large multibillion-dollar arrangement in the energy sector but doesn’t have a well-designed risk management structure in place. What’s also concerning is the lack of available information for the public to assess the risks and rewards. APMC doesn’t prepare a business plan, nor make its annual report public. Trust us, however, isn’t good enough. North West Refining would not comment on the report, although CEO Ian MacGregor recently told the Financial Post that low bitumen prices and high diesel prices make the project’s current economics exceptionally strong. “These margins are here forever, as far as I’m concerned,” he said. The Sturgeon Refinery will expand Alberta’s downstream sector and has benefits, creating construction work, about 400 long-term jobs and generating additional economic activity. But commodity prices are fickle. Without proper risk-management systems in place, how confident can the public be that the government is prudently managing its investment? Former Alberta energy minister Ted Morton said the auditor general’s report should serve as a wake-up call on assessing future energy investments, including a proposed expansion of the refinery. “When the private sector negotiates with the government, they always win because they have expertise — the government doesn’t — they’re in it to make money and the government is in it for, frankly, votes or personal glory or both,” he said. The province expects to make a final decision on its involvement in the refinery’s proposed phase two expansion in the coming weeks. A statement from Energy Minister Marg McCuaig-Boyd said the department and APMC have accepted all of the auditor general’s recommendations. But investing public money into private ventures does put it at risk, as spiralling capital costs have shown. Solid risk management is, by its nature, designed to avoid potential problems and improve decision-making. After all, it’s hard to weigh the rewards if you don’t know or understand all of the risks.